on Monday I posted a photo on Instagram of me rocking an angel look. I also wanted to post the story behind the photo on my blog but I have been so busy that it took me till today. 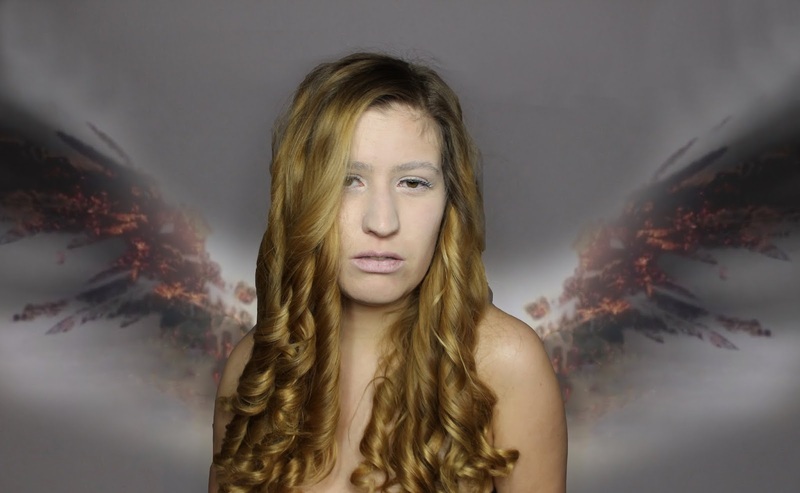 I wanted to create a look of a pale white angel with dark piercing eyes. The look on the face is suppose to be expressionless but at the same time filled with thousand emotions that it went blanc. With golden ringlets as hair just like angel hair that you see everywhere around Christmas. The wings I took from Supernatural because they inspire me to see what angels would look like these days.